A magical, mystical, supernatural thing happens when a woman becomes a mother. A bond is woven with the very threads of the cosmos to form an indestructible link between three entities: the mother, her child, and…the toilet seat. Off you sneak to the throne room, nearly giddy with excitement at the chance to visit the loo in peace. But no matter how content the children looked when you left, as soon as your tush hits that seat, BAM! It’s like the Bat Signal has roared across the night sky of their inmost being. They feel an almost-panicked tug from the cosmic link and all they can think is, Alert! Alert! 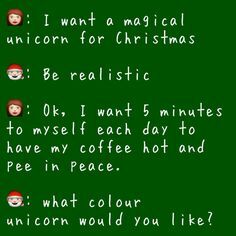 I NEED MOM RIGHT NOW. This happens even if they seemed perfectly happy a few moments ago. This happens even if the children are sitting right next to their father, who is perfectly capable of helping them. This happens even if the children are well past their preschool years (well past) and are perfectly capable of helping themselves. Those things do not matter. Drop everything. You must find her NOW. You must get her to answer your question before she flushes. This is imperative for the well-being of the entire galaxy. If possible, slide your fingers and/or notes under the door in case she forgets you are there, even though you have been talking to her the entire time. Even celebrity moms like Carrie Underwood cannot escape. 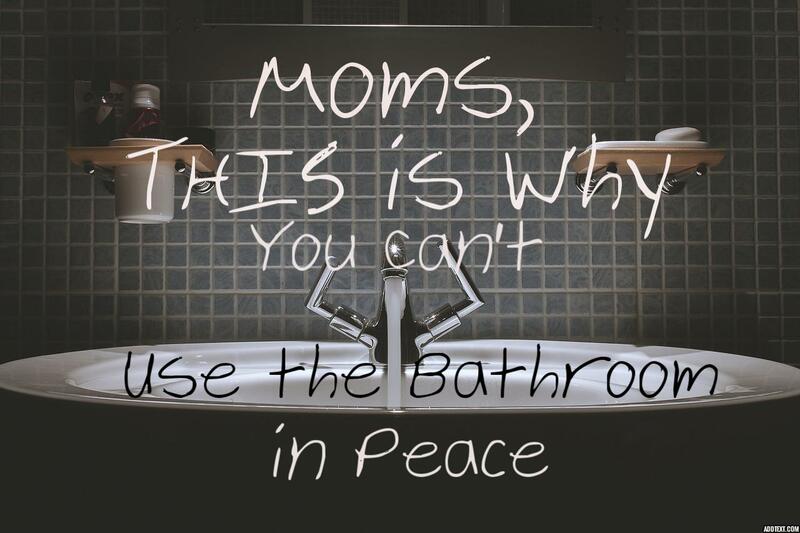 Can’t a mom just go to the bathroom in peace? And now you know why. 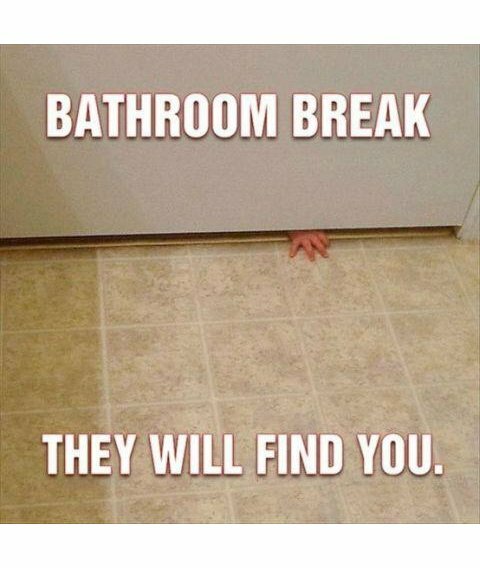 Your children are bound by an unbreakable tie to you and your bathroom habits. They just cannot help it. They must find you. And they will. The only hope is that the bond dissolves by the time they leave for college. Then again, who knows? Maybe it lasts much longer. The next time you get an overwhelming urge to call or text your mom with a question, you might discover she just happened to have stepped into the powder room at that exact same moment. Happy Mother’s Day to all you moms! May you have at least one solo trip to the bathroom today. This post is dedicated to my amazing mom. Love you! Sorry for all the times we kids interrupted your quality time. Ha! Yes! What doesn’t help my situation is my bathroom door is being held closed by a hair tie. So, privacy, what is that?